We’ve paid attention to several of the upcoming primary contests in both parties. Today we make our endorsements in those contests. 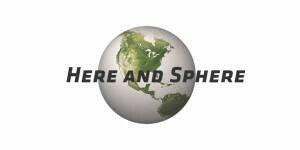 In the past, endorsements have been discussed only between the two founders of Here and Sphere. This year we have asked a panel of eleven observers to weigh in. To win an endorsement, a selectee had to win seven votes. (6 to 5, we decided, was a “split decision” for endorsement purposes.) Not all our potential selections got to seven. For the most part, our theme this year is “deserves re-election.” The legislature and Governor have just completed one of the most successful reform sessions that we can remember. It is difficult to see why any legislative challenger merits endorsement over incumbents who have just finished a “job well done.” That said , there are open legislative seats, and we have made choices in those. 7th Congressional District : we endorse Mike Capuano. (the vote was 10 to 1) Capuano is the incumbent. Boston City Councillor Ayanna Pressley is challenging. This is a race between two very worthy candidates, both of whom Here and Sphere has great respect for, politically and personally. Pressley has campaigned as a “fresh face,” while Capuano talks about the clout he has already had and will have more of as a Committee Chairman in the new Congress, which will almost certainly have a Democratic majority. For us, that is the winning argument. Having a Committee chairman as the 7th’s Congressperson is a tremendous advantage for all the Federal funds we need for infrastructure, transit, pipeline issues, and hazardous materials safety — the nuts and bolts of Capuano’s committee. Capuano has campaigned almost non-stop, throughout the District, whose issues he has already shown mastery of and responded to with great success. Pressley’s supporters say that “change can’t wait,” but if change isn’t needed, waiting isn’t on the table. We strongly urge that you vote to re-elect Mike Capuano. 15th Suffolk/Norfolk State Representative. Here the vote (11 people voted) was nearly unanimous : incumbent State Representative Jeffrey Sanchez wins our endorsement. As the State’s Budget chief, Sanchez completed an enormously complex $ 41.7 billion next-year appropriation which funds all sorts of reform initiatives. Sanchez is also a tireless advocate for the diverse residents of his District, which includes arts and medical students, community activists, public housing residents, affluent executives (on Moss Hill and in Brookline’s “Point” section), many Hispanic communities, and three bustling business districts. Lastly, sanchez enjoys a solid working relationship with Governor Baker, not a small matter when his signature is wanted on legislation. Sanchez’s opponent, Nika Elugardo, (one vote from our panel) has worked on State Senator Sonia Chang-Diaz’s staff. She complains that Sanchez hasn’t secured legislative passage of the entire “progressive’ agenda, much of which remains for the 2019 legislative session, in which it may be enacted — or may not be. We find that argument unconvincing. The current session enacted all kinds of significant reforms. Jeffrey Sanchez well deserves re-election. Secretary of State. No endorsement. Long time incumbent Bill Galvin is challenged by Boston City Councillor Josh Zakim, who narrowly won the Democratic State Convention’s vote. The vote by our panel was 6 to 5 for Galvin (I voted for Zakim). This office is one in which I think there needs to be a different way of doing things. Galvin’s calling the primary for the day after Labor Day strikes me as prejudicial to challengers, not to mention the voters, who deserve a breather after vacation before diving into consideration of who to vote for. That said, half of our panel felt that Galvin has operated the securities and elections responsibilities of his office very effectively. Suffolk Register of Deeds. challenger Katie Forde received two votes, incumbent Stephen Murphy five votes. Thus Stephen Murphy wins our endorsement for re-election to an office that probably shouldn’t be elected at all. Murphy has held information sessions all around the County, an innovation which probably does help voters to understand what the Deeds Registry actually does. That’s a worthy reform. We endorse a vote for re-electing Stephen Murphy. There are a host of other contests, including a three-way Republican primary for United States Senator and a contest for Governor. We’ll report these races tomorrow.